Irene Gall is a contemporary Scottish artist, native to and working in Dumfries and Galloway. After attending Wallace Hall Academy in Closeburn, she studied History of Fine Art with Geography at the University of Glasgow. Whilst there, Irene also attended classes at the Glasgow School of Art. After a career in teaching, Irene Gall now concentrates on painting - mainly landscape, urban and rural, and still life. Over a period of eight years she has studied painting and drawing at Solway House Studio with Sam Mullen. 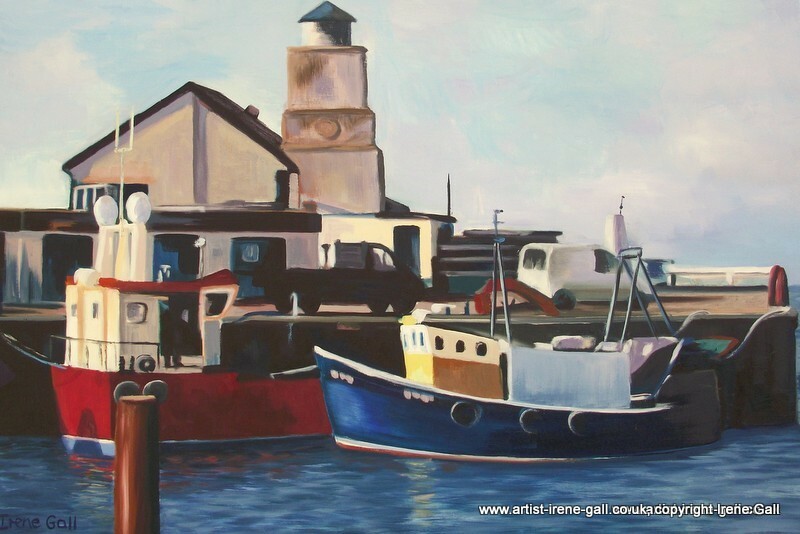 She paints landscapes and townscapes, both local and national, as well as those experienced abroad. "Like any artist, there have been a number of major influences on my work", says Irene. 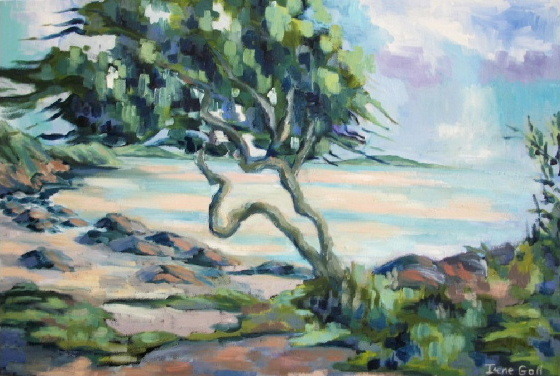 "My paintings have been strongly influenced by the Impressionist / Post-Impressionist movement, especially Paul Cézanne, and I have enjoyed copying a number of his paintings, understanding how brushwork and colour come together in these beautiful works. Another influence is Boccioni of the Italian Futurists. 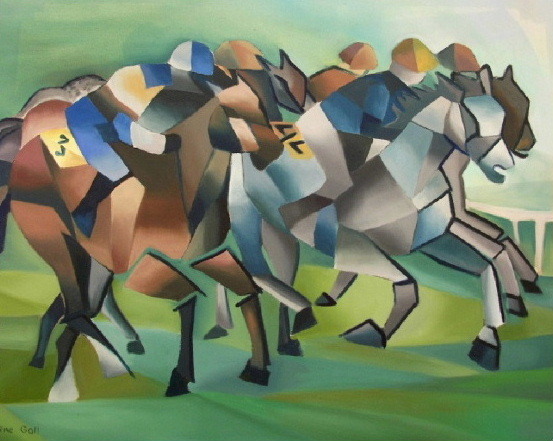 You can see this influence in the portrayal of speed in the 'Horserace' and 'Running Bulls'. Feininger, the German/American Cubist artist has also been an influence in his portrayal of churches and sailing ships". 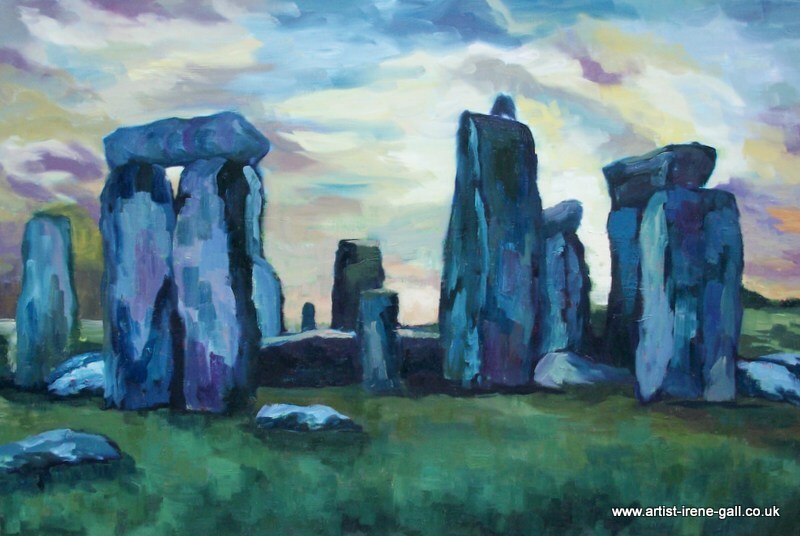 Irene loves to portray natural landscapes, but also those where Man has enhanced the landscape with buildings, standing stones and monuments. "At the moment I am particularly interested in the strong shapes found in the built landscape, and you can see this in the new paintings of rooftops, and in the paintings of bridges in Dumfries and Glasgow", she says. "One thing I love about art is that you never know where inspiration will come from, or where it will take you. A chance remark from a friend, a vase of flowers, a view, all can set you off in a new direction. But whatever the subject, when you start with a dull blank canvas and start to add strokes of colour, that is the magic of painting!" 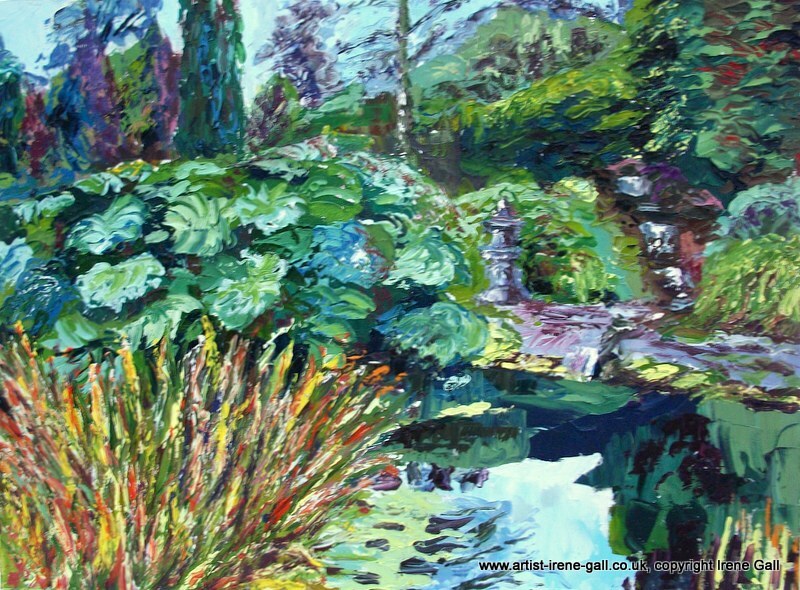 Irene has been painting and drawing for most of her life and has been exhibiting since 2008. Some of her paintings can be seen in the Buccleuch and Queensberry Arms Hotel, Thornhill, Dumfries and Galloway. 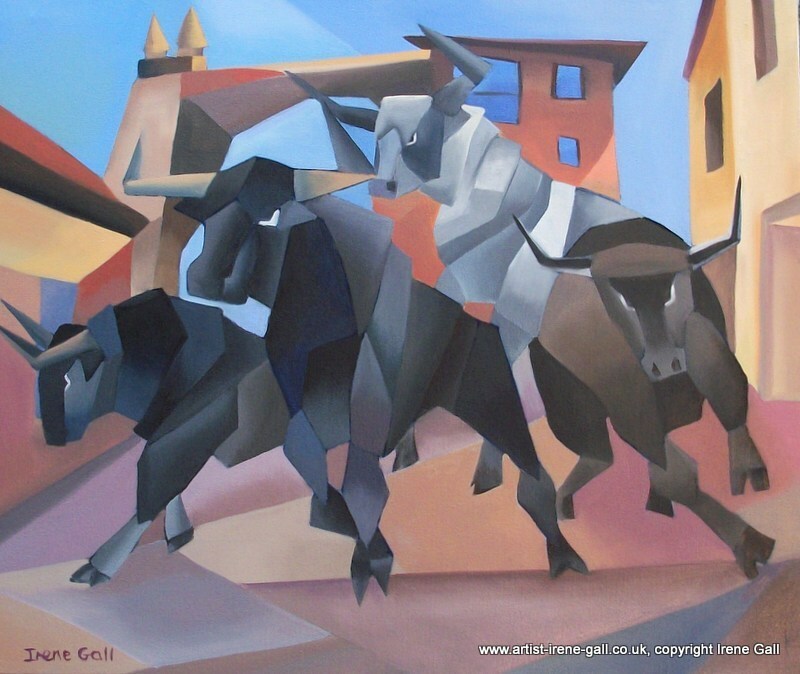 For a more extensive viewing, contact Irene by email at info@artist-irene-gall.co.uk or by phone: 01848 330136. Call me from a mobile.